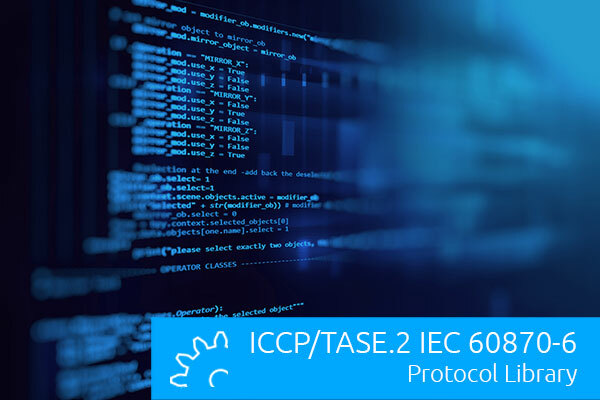 The Inter Control Center Protocol (ICCP) with the official name TASE.2 is a protocol that was designed for the communication between control centers. It is specified in the IEC 60870-6 series (namely IEC 60870-6-503 and IEC 60870-6-802). Similar to IEC 61850, the protocol is a specification on top of the ISO 9506 (MMS) protocol but uses a different feature set of MMS and a different data model. The protocol library is available for C/C++, .NET, and Java. Support for client, server, and dual-role on active and passive TCP endpoints.